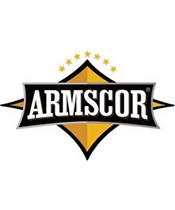 Product Spotlight: Armscor names Outdoor Limited 2018 Internet Wholesaler of the Year! Armscor Small Arms Ammunition line is one of the largest and most comprehensive in Southeast Asia. The Company offers a wide selection of competitively priced ammunition and components with sales spread throughout the world. Armscor, an ISO 9001 Certified Company, complies with the SAAMI, CIP and other military or customer desired standards or requirements. Armscor cartridges and components are widely used by the police, military, gun hobbyist, combat shooters and other shooting enthusiasts due to its high quality, precise and dependable performance. CLICK HERE FOR THE full List of Armsocr Ammunition! 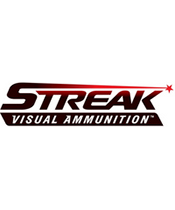 PRODUCT SPOTLIGHT: Streak Visual Ammunition! STREAK'S EXCLUSIVE PATENTED TECHNOLOGY ALLOWS THE SHOOTER TO VISUALLY SEE THE PROJECTILE'S PATH TOWARDS ITS TARGET. STREAK ROUNDS ARE NON-INCENDIARY, THEY DO NOT GENERATE HEAT SO THEY ARE SAFE TO USE IN ENVIRONMENTS WHERE TRADITIONAL TRACERS ARE PROHIBITED AND CAN BE A SERIOUS FIRE HAZARD. THE RESULTS ARE GAME CHANGING IN MANY ASPECTS FOR THE CONSUMER, LAW ENFORCEMENT AND MILITARY. FOR INDOOR RANGE USE AND NIGHTTIME SHOOTING. CLICK HERE FOR THE Full list of Streak Visual Ammunition! 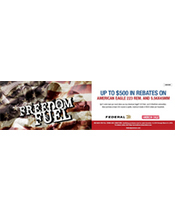 PRODUCT SPOTLIGHT - Freedom Fuel Rebate! Buy at least 300 rounds of Federal® American Eagle® 223/556 Ammunition and receive $0.05/round rebate. Minimum purchase 300 rounds of ammunition. Maximum $500 rebate per household. Exclusions apply. See official terms and conditions for details. CLICK HERE TO VIEW OUR Full list of Freedom Fuel Rebate! Be sure to check out our case pricing!